THE lifestyle that Torquay provides continues to attract Melbourne buyers to the seaside town. The buyers of 41 Manna Gum Drive were looking to make the sea change, according to Hayden, Torquay agent Nick Kearsey. 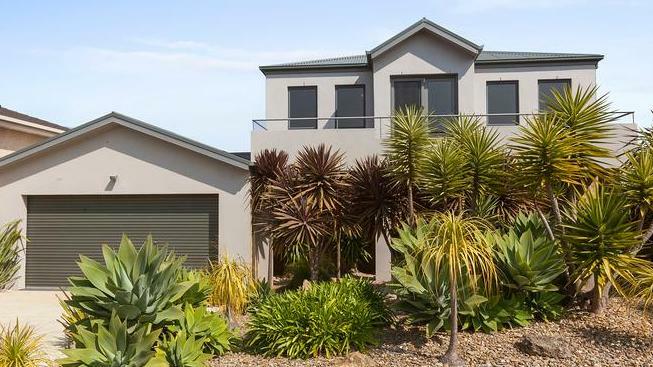 “It is a really lovely home and the Melbourne buyers wanted a sea change,” Mr Kearsey said. The buyers acted fast and secured the property for the asking price of $839,000 in 19 days, according to CoreLogic. The two-storey house has three bedrooms on the ground floor and an open-plan living area and separate loungeroom upstairs. 41 Manna Gum Drive, Torquay has fantastic ocean views. A balcony attached to the living area upstairs takes in an ocean view. Mr Kearsey said demand for property in Torquay was still strong and he was finding as well as a lot of Melbourne buyers looking to buy a lot of locals were looking to move within the area. “We still have a lot of internal movement within Torquay, it has been really surprising as people are taking advantage of the strong market and getting good results,” he said. The median house price in Torquay is $715,000, an increase of 10 per cent in the last year, according to CoreLogic.